Sacrificial paradigms have released from Gaia energetics. Hue-manity collective has supplanted distorted concepts. Passionates of Ascension complete their works. Illuminated Energetic grid structures become visible to Higher Vision, and those with such. Such grid structures now clarify all beings with dense intent and end points have now been established, subject to minor alteration. Shadow regions have dissolved sufficiently for all Gaia inhabitants to pursue passionates without resistance. 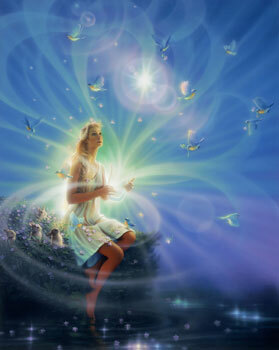 Passion seekers reach from feminine depths to manifest Gaia-centered paradigms and establishments. Relief paradigm for Gaia injuries accelerates to full priority among Gaia inhabitants. “Flash portals” have activated across Gaia. Locations of such are known to those with Higher Discerning capabilities activated fully. “Flash portals” enable rapid transformation of Hue-Beings and hu-beings, ready for such. These portals will also find application in removing those with chronic ingrained resistance patterns to suitable cultivation facilities. Gaia has demonstrated grand patience with all of the hu-beings, but the time has been entered where resist-ers will energetically be unable to tolerate the refined Cosmic Energetics in which Gaia is now immersed and with which Gaia is now aligned. All hu-beings demonstrating resist-er characteristics which cause overall harm to Gaia, on any dimension, will be lovingly removed via the “Flash Portal” experience. This may occur at any time. “Flash Portals” will remain active across (and within) Gaia until no longer needed. “Portals of exigency” have been created to accommodate rapid movement across planetary energetic boundaries. Alignment of Hue-beings with such portals facilitates accelerated movement of consciousness into Higher D realms as chaotic node points are encountered. Full Inner Acceptance of “the Process” is key to the alignment, and allows moment to moment flow with “The Process”. “Portals of exigency” will remain as a potential for Hue-manity and all hu-manity until further notice. Statics of prior moments is now dissolved and released. Intrusions into Gaia Energetic Complex are monitored and ameliorated, as persistent intruders attempt a time reversal. Placid-ation is now at hand, within each and every Hue-Being, and is now being called forth. E-Lucidation of all priories is now in full progress, and cannot be stopped by lower-intenders. Portal openings and expansions in a rapid sense are to be expected, in short order. Interwoven timelines currently inhabit near Earth energetics. Requirements for Hue-manity birthing include exposure, recognition, separation, and transmutation of such, by individual Hue-Beings. hu-manity follows the leadings of the Hue-Beings. Treading of prior time paths proves fruitless. All is in process for grand Hue-manity and hu-manity mass awakening. Gaia Activations are moderated for a period to allow full integration at acceptable levels for hu-manity. Sites of Light influx recalibrated and re-aligned for next phase. Establishment of Unification Paradigm complete. Prescience of mind is paramount as Gaia enters rapid ascension phase. Excesses are released, on all levels, as Hue-manity expands into fullness of purpose. Severance of expired paradigm structures proceeds. Illumination of Inner Structures, in full progress. Galactic energetics permute all remnants of dark intent. Shadow statics are eliminated as blue Sol expands.